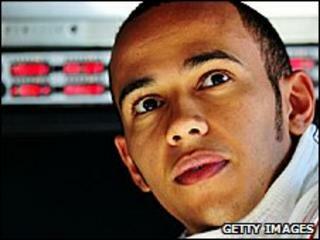 Formula 1 star Lewis Hamilton has been charged over a stunt he performed on a public road in Australia. The British driver was stopped by police after performing a "burnout", spinning his car to leave tyre marks on the road, in front of fans before the Melbourne Grand Prix in March. His silver Mercedes road car was impounded after he was pulled over close to the Albert Park circuit. He was charged with intentionally losing control of a vehicle. At the time, police said Mr Hamilton's rear wheels were skidding as he accelerated out of Albert Park on what was a public road. McLaren's 2008 Formula 1 world champion admitted after the incident: "I was driving in an over-exuberant manner and, as a result, was stopped by the police. A court hearing has been set for 24 August at Melbourne Magistrates' Court. There is a Grand Prix race scheduled in Belgium on 29 August. It is not clear whether Mr Hamilton will have to appear in court in Australia for the hearing.